Blue Cats Eye is a beautiful unique stone due to parallel fibrous includions deep within the stone. Cat?s Eye stone is said to help the intellect, to foster wisdom and its connotation with a cat, meaning crafty or sly. If you are looking for a unique and interesting piece of jewelry, definitely consider buying some Cat?s Eye plugs or hangers. 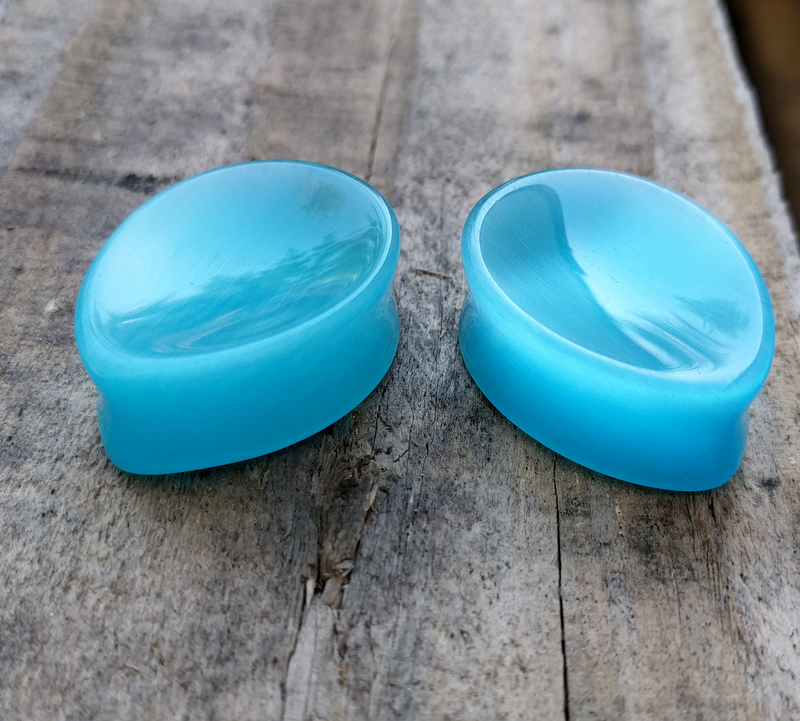 These Blue Cats Eye plugs are a double flared Concave Teardrop shape and come in several gauge sizes. 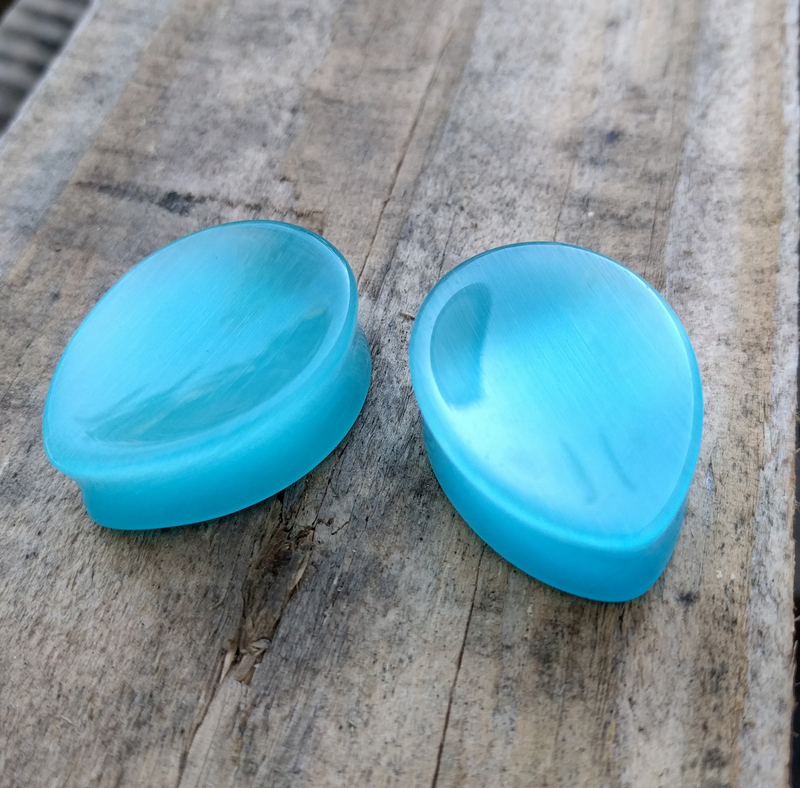 The concave curves of these ear plugs allow the natural chatoyancy effect of these stones to really shine.